Michal Oleksiejczuk will be sitting out until Dec. 30 after testing positive for a banned substance surrounding his last fight at UFC 219 in Las Vegas. On Tuesday, the Nevada State Athletic Commission handed Oleksiejczuk a one year suspension after he tested positive for clomiphene — an anti-estrogen drug that is banned at all times for athletes competing in combat sports. 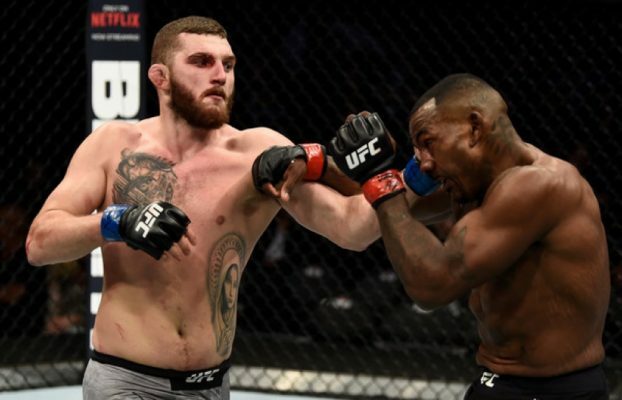 In addition to his suspension, Oleksiejczuk had his win against Khalil Rountree overturned to a no contest and he was fined $3,600, which is 30-percent of his $12,000 fight purse. Oleksiejczuk will also have to submit a clean drug test before competing in Nevada again. It’s an unfortunate result for Oleksiejczuk , who looked very impressive in his UFC debut but will now have to sit out until at least December after getting busted for using the banned substance. While Nevada has handed down their sentence, Oleksiejczuk still faces possible sanctions from USADA (United States Anti Doping Agency) for violating the UFC’s anti-doping policy. In similar cases in the UFC in the past involving clomiphene, USADA has issued a one year suspension but there’s still no word yet on what potential penalty they will hand to Oleksiejczuk for the violation of the UFC’s anti-doping policy.